The first winemaker in Sedona and the Verde Valley is believed to have been Heinrich (Henry) Schuerman, a German-born baker who, in 1884, settled an old debt of $500 by taking ownership of 160 acres of farmland on Oak Creek. There was a crude irrigation ditch on site built by American Indians, and the couple expanded the ditch to irrigate an orchard and vineyard. The orchard and vineyard flourished. Henry sold peaches, apples and wine to Flagstaff logging camps and Jerome miners until the Prohibition. (In 1920 a constitutional amendment outlawed the manufacture, transport and sale of alcoholic beverages.) At first, Henry refused to believe that the venerable tradition of winemaking could be illegal, and he ignored the new law. He was arrested and sent to jail in Prescott, but friends and neighbors demanded -and won- a pardon by the Governor of Arizona. Today, seven wine makers have planted roots in the Sedona Verde Valley area, and their wineries are producing both white and red varietals, library wines and multi-grape bottlings. Several have been applauded by wine critics. The public can give the wines a try in the vineyards' tasting rooms, during occasional winemaker dinners and by picking up a bottle in fine food and liquor stores. Many Sedona restaurants serve local, national and international wines. And for a drink-as-you-go experience, there's the "Grape Train Escape" on the Verde Canyon Railroad, where Arizona wines are served May through September as the train travels through unspoiled wilderness. The art of winemaking in Central Arizona goes back to the early 1890s when wines were made for miners in Jerome, but the wines stopped flowing when the mines were closed. Only in the last few years has the Verde Valley been rediscovered by vintners, who have come to appreciate its climate and soil for exceptional winemaking. Arizona wines have been served in the White House since 1989. The traditional Mint Julep, immortalized at garden parties in the Deep South and the official cocktail of the Kentucky Derby, is a mixture of Bourbon, simple sugar and fresh mint leaves, muddled and served over shaved ice a silver "Julep Cup." It is a tradition dating back to the 1800s. No Southern bride's registry is complete without "Julep Cups," and every family has its Mint Julep recipe. For the non-traditionalist, here is a contemporary twist on the Julep that offers the zestiness of oranges along with the sweet-nutty flavor of Dry Sack rare-aged 15-year-old Oloroso Spanish sherry. Rhum Clement from the island of Martinique is substituted for Bourbon. Muddle one large orange wheel cut in � with 5 dashes of vanilla extract and � oz. of Dry Sack 15 Year Old Oloroso. Add 1 oz. of Cl�ment Cr�ole Shrubb, 2 � oz. of Cl�ment V.S.O.P., � oz. of fresh lemon juice, 1 teaspoon of orange marmalade, 3 dashes of Fee's West Indian Orange Bitters and 6- 8 large mint leaves to the mixing glass along with several large ice cubes. Shake vigorously for a minimum 15 to 20 seconds and strain into a Julep Cup filled with fresh crushed ice. Garnish with mint and orange peel. Dry Sack 15 year old is a rare-aged Oloroso sherry produced by the venerable Williams & Humbert bodega in Jerez, Spain. Aged for a minimum of 15 years in oak casks under the time honored solera system, Dry Sack 15 is spicy and full flavored with a deeply satisfying taste of raisins, figs, roasted nuts, oak and vanilla. Dry Sack 15 is blended from two different types of sherry, each first aged in their own solera and then blended in a third solera in a ratio of 78% Oloroso and 22% Pedro Xim�nez. Dry Sack 15 is traditionally served as an after dinner drink, much like a fine Port; however, mixologists are discovered that its flavor nuances of toasted nut and dried fruit are a nice enhancer for cocktails. Dry Sack 15 was rated a 92 by Wine Enthusiast Magazine in 2008, and continues to serve as a standard bearer for a fine Oloroso. Tasting room experiences in Napa Valley exist primarily in countertop settings where small flights of five or six wines are presented with tasting notes. The new ENOTECA SIGNORELLO program elevates the tasting experience to the highest possible level, serving gourmet appetizers prepared by the estate chef in a seated, private salon setting alongside Signorello wines. "Whether our guests are home chefs or just love to eat, they want education about the subtle ways food enhances wine appreciation and how wine amplifies and compliments flavors in food to create a sublime pairing experience," observes Ray Signorello Jr., owner of Signorello Vineyards. "We developed the ENOTECA SIGNORELLO program to drive this message home and present an evolved tasting experience to Napa Valley's most sophisticated visitors." "This is not a corporate experience," continues Signorello. "We are a family vineyard and welcome guests into a villa setting that best resembles a personal home." Guests of the very personalized ENOTECA SIGNORELLO experience are entertained in one of two extraordinary venues - 1) the private, newly modeled Salon� del Padron�, a refined tasting salon; and 2) weather permitting, Terrazzo del Padron�, a private stone terrace featuring an infinity-edge pool overlooking the heart of Napa Valley. The winery is closed to the general public Monday through Thursday, but is open exclusively to guests of ENOTECA SIGNORELLO twice a day by appointment only - at 11 AM and 2:30 PM. Friday through Sunday, the tasting room at Signorello is open to the public, but guests of ENOTECA SIGNORELLO (by prior appointment only) are escorted to the private salon or terrace where they are treated to gourmet bites of food prepared by estate chef Rodger Babel perfectly paired with Signorello Vineyards wines. Specially trained wine sommeliers guide guests through an extraordinary, personalized journey of food and wine featuring current and library wines paired with Italian-inspired delights, featuring Snake River Farms American Wagyu (Kobe)beef. The ENOTECA SIGNORELLO program is approximately 1 � hours in length. Salon� del Padron� seats up to 10 guests and Terrazzo del Padron� can seat up to 14. The ENOTECA SIGNORELLO tasting program is offered for $65.00 per person. Guests of the ENOTECA SIGNORELLO become educated on the Signorello Vineyards winemaking process, from the careful selection of grapes in the vineyard to the blending of wine in the bottle. Guests receive a personal tour of vineyards, barrels, tank and equipment rooms as part of the intensive educational program. ENOTECA SIGNORELLO guests learn how the winemaker's "Vigneron" style of winemaking fuses old world techniques with new world fruit. This style is at the core of the Signorello Vineyards philosophy and ensures the winemaker and winemaking process is at the heart of every bottling. This approach results in classically Bordeaux-styled Cabernet Sauvignon and Seta wines, while the Signorello Pinot Noir and Chardonnay are modeled after Burgundian styles and the Syrah is inspired by Rhone winemaking style. In addition to estate-grown Cabernet Sauvignon, Signorello Vineyards produces an estate-grown Chardonnay, Syrah, Seta (proprietary white wine) and Padrone (proprietary red wine) along with a Pinot Noir from Carneros and a Zinfandel from Calistoga. Guests will learn to distinguish how characteristics such as balance and acidity levels are critical in creating a successful food pairing. Signorello Vineyards is pleased to partner with Snake River Farms, the premier supplier of American Wagyu (Kobe) beef, for its ENOTECA SIGNORELLO experience. Known as the "best beef in America", the American Wagyu (Kobe) beef is served at the some of the nation's best restaurants and top events and is a perfect complement to Signorello's Bordeaux-style Cabernet Sauvignons. Signorello Vineyards is a family-owned boutique (7,000 case) winery that has been producing small lots of low yield (2 � tons per acre), high quality wines since 1985. The Signorello Vineyards estate is located on the eastern hillside of Napa Valley's Silverado Trail and overlooks the patchwork of vineyards on the valley floor. Many people have likened the vistas to that of Italy's Tuscany region and the ENOTECA SIGNORELLO program only heightens this comparison, as the architecture and hospitality draw inspiration from the Signorello family's Italian heritage. Part drink, part dessert, our pick for Cocktail of the Month is a liquid twist on lemon meringue pie from the W20 Lounge at Ventura�s Watermark restaurant. Enjoy it there, or mix it up at home just to celebrate spring. No fork required. Run a lemon wedge around the rim of a martini glass to moisten. Dip in crushed graham cracker and set aside. Combine all liquid ingredients in a cocktail shaker filled with ice. Shake vigorously and strain into prepared martini glass. Garnish with a twist of lemon if desired. Tea Time with a Twist! Two �firsts� have joined forces to create �Tea Time with a Twist,� a modern drinking experience that aims to refresh and awaken traditional tea time. America�s first Tea Sommelier, James Labe, a world renowned master of tea tasting and preparation, has created a series of original tea infused cocktail recipes featuring ZEN Green Tea Liqueur�, the first and only Green Tea Liqueur. This unique combination of fine spirits and tea offers a revitalizing experience for adventurous tea lovers, reinventing the �spirit� of the centuries-old tea time. When added to freshly brewed tea, ZEN energizes and enlightens the tea drinking experience. ZEN�s sophisticated taste is derived from the infusion of neutral spirits with whole and ground green tea leaves, lemongrass, herbs and natural flavors. The ground green tea, or Matcha, used in ZEN comes from Uji, near Kyoto, one of the most famous Matcha-producing regions in the world. It�s the Matcha that gives ZEN its authentic tea flavor and brilliant green coloring. Matcha also adds a subtle sweetness which mixes well with a variety of warm or cold teas, creating an adventurous new drinking experience. �From the dawn of civilization to this day, tea and spirits have traveled along parallel roads towards our enjoyment,� says Mr. Labe. �Spirits have long been at home in fine dining, but only recently has that cocktail moment included tea, as two new friends, green tea and spirits, greet each other in ZEN Green Tea Liqueur.� Mr. Labe�s tea cocktails feature some of the finest teas, such as Genmaicha Green Tea, Silver Needle White Tea, Iron Goddess of Mercy Oolong Tea and Earl Grey Black Tea. Recipes also feature a wide range of spirits including premium tequila, vodka, rum and whiskey. Mr. Labe�s ZEN tea cocktails were created to be enjoyed year round, but can also be served as seasonal specialties. For example, the tropical flavors of White Rum and Coconut Cream combine with ZEN and Jasmine Pearl Green Tea to create the ZEN Blossom, the perfect cocktail for summertime sipping. 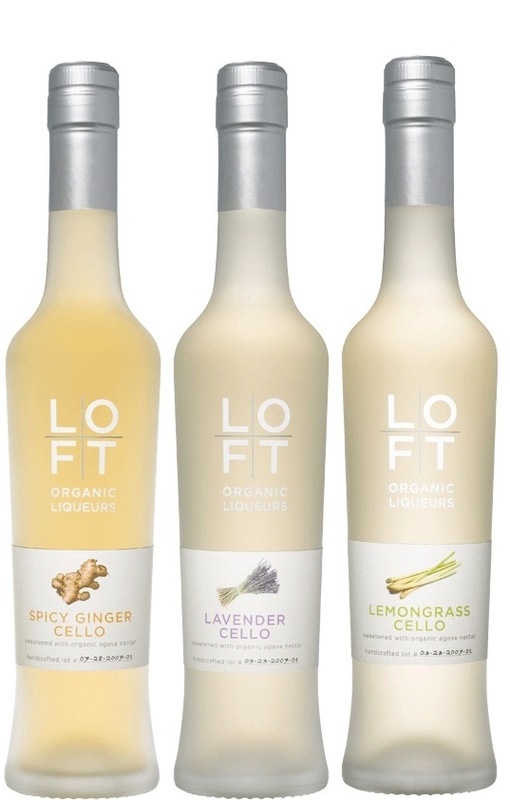 NEWEST HOT DRINK TO HIT THE MARKET -- LOFT CELLO'S -- Try these delicious organic liquers in refreshing Lavender, Lemon Grass and additional flavors. Nothing can really replace Lemon Cello, but they have given it a good go. 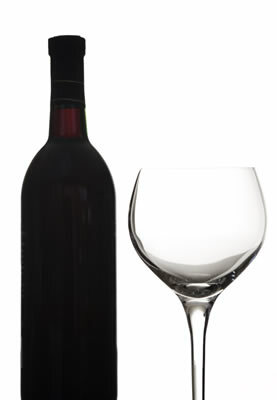 TREAT YOURSELF TO THE BEST TASTING NON-ALCOHOLIC WINE BEVERAGE AROUND! This delightful refresher comes in three wine flavors, and all taste like a real wine drink, but no hangover! Basically, it's a chic grape juice drink that is adorably packaged. Good Branding! for information visit: www.Winecountrysoda.com. Paso Robles Wine Festival presents - The Wine Country Auction - a new component to the popular Friday evening RESERVE event. The Wine Country Auction is quickly creating excitement for the 27th Annual Wine Festival slated for May 15 � 17, 2009. RESERVE takes place from 4 � 6 p.m. on Friday, May 15 in the beautiful Downtown City Park. Kicking-off the evening are more than 70 Paso Robles library, barrel and reserve sample wines along with complementary wine country cuisine. Following, is the Auction taking place at the newly renovated, historical Carnegie Library conveniently located in the park. The Wine Country Auction, showcasing packages unavailable through retail means, is a natural enhancement to RESERVE, the exclusive party before the party. Large format bottles, golf and wine getaways and wine country dinners are just a few of the lifestyle packages available on the auction block. A limited number of RESERVE tickets are available for this exclusive wine country experience. The opportunity to bid on these rare auction lots happens only at the Friday evening RESERVE event. 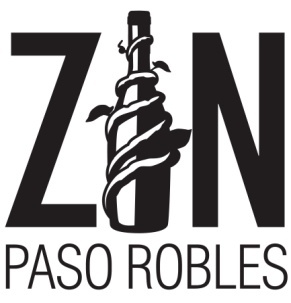 RESERVE admission offers wine enthusiasts more one-on-one time with winemakers, sommeliers and other members of the Paso Robles wine community scheduled to attend. Wines showcased are unique to RESERVE and are different than wines featured at the Saturday event. Tasty bites will be provided by local chefs throughout the area. RESERVE�s early start and end time is designed to complement the Friday evening line-up of various winemaker dinners and individual events at the area wineries and local restaurants. 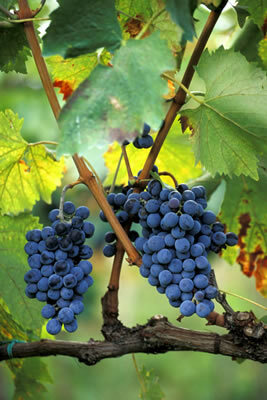 Visit www.pasowine.com for detailed information on winery events throughout the weekend. On Saturday, May 16 more than 90 wineries will be sampling wines in the park from their diverse portfolios. RESERVE and Premium ticket holders are invited to begin the tasting at 1 p.m., (one hour earlier than Festival admission). RESERVE ticket holders are encouraged to relax in the comfort of the VIP Lounge located within Hotel Cheval�s Pony Club where non-alcoholic refreshments will be served and chefs from the Demonstration Kitchen will come to chat with guests following their stage appearances. RESERVE tickets are $125 per person and available by advance purchase only on www.pasowine.com or by calling 800.549.WINE (9463). In addition to the more than 400 wines, Saturday�s Grand Tasting offers a Demonstration Kitchen, courtesy of Idler�s Appliances and an Artisan Alley, featuring local epicurean delights. Samples of Hearst Ranch Beef and California Lamb will be prepared at the outdoor grilling station and local food vendors will sell specially created wine country cuisine guaranteed to send mouth watering aromas throughout the park. Tickets to RESERVE as well as the Premium and Festival ticket levels are currently available on www.pasowine.com or by calling 800.549.WINE (9463). RESERVE ($125) and Premium ($75) admission is available by advance purchase only and will not be available for purchase the day of the event. Festival ($55) and Designated Driver/Child tickets ($15) will be available for purchase on the day of the event provided they are not sold out. Sunday, May 17 completes the festival weekend with individual events at more than 100 of the area wineries. Visit www.pasowine.com for more information and to plan a day of case collecting from those favorite wineries discovered during the festivals in the Paso Robles Downtown City Park. Brew master Daniel Del Grande announced that his company, Bison Brewing Company, has partnered with Mendocino Brewing Company in Ukiah, CA, to brew and bottle his award winning line of organic beers. Certified organic since 2003, Bison recently released 60,000 bottles of Organic Chocolate Stout and Organic India Pale Ale and will expand distribution to 32 states, up from 12 states last year. Both companies are recognized pioneers of the American Craft Brewing renaissance. Bison Brewing Company was founded in 1989 by brewpub pioneer, Bill Owens. Along with Assemblyman Tom Bates (now Berkeley�s Mayor), Owens introduced California legislation that legalized brewpubs. Bison's innovate use of ingredients such as honey, sage, basil, chocolate, cranberry and coriander augment beers primary ingredients: malt, yeast, water, and hops. Mendocino Brewing Company, established in 1983, now operates two production breweries, Ukiah and Saratoga Springs, NY, as well as their original Hopland, CA brewpub. Mendocino's flagship beer, Red Tail Ale inspired Del Grande to begin home brewing in 1988 in college at UC Berkeley. With a brewer of this caliber, Bison beer will have plenty of fresh organic beer to meet growing demand for his products. Mendocino's CEO, Yashpal Singh notes: "We are excited to organically brew Bison products. Our size, efficiency, and technical expertise will help Bison grow to an established national brand at a time when organic beer is poised to flourish in the national marketplace."